These are helpful resources that we recommend for you to consider for your healing journey. May the Lord bless you as you pursue healing and freedom from emotional, physical, and spiritual pain and trauma! Kathy Shelton has created a devotionals blog for those who have experienced any type of pain and trauma. You can follow her devotional blog via email by signing up on that site. To view the new devotionals page, CLICK HERE. Healing Hearts: A Journey in the Midst of Spiritual Adversity, ISBN 978-1-4908-2471-0, book by Kathy Shelton. Healing Hearts can be ordered in softcover, hardcover, and E-book formats at WestBow Press (CLICK HERE). 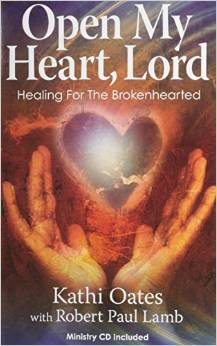 Healing Hearts may also be purchased from Amazon (CLICK HERE) and Barnes & Noble (CLICK HERE). 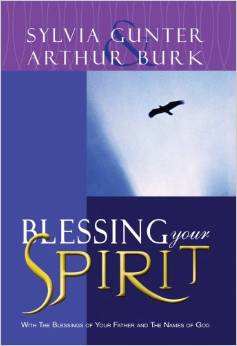 Blessing Your Spirit, ISBN 978-1931379113, book by Sylvia Gunter and Arthur Burk (available on Amazon at: CLICK HERE). 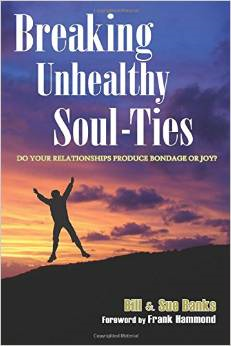 Breaking Unhealthy Soul-Ties, ISBN 089-228-1391, book by Bill and Sue Banks (available on Amazon at: CLICK HERE). Open My Heart, Lord, ISBN 978-097-526-2214, book by Kathi Oates (available on Amazon at: CLICK HERE). 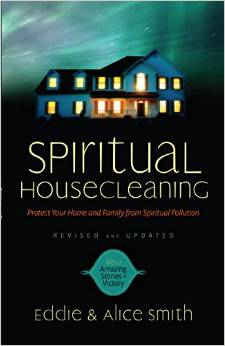 Spiritual Housecleaning, ISBN 080-079-7213, book by Eddie and Alice Smith (available on Amazon at: CLICK HERE). 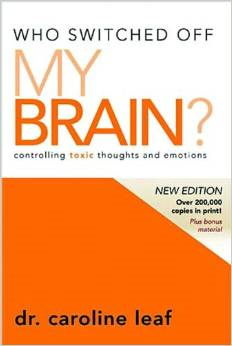 Who Switched Off My Brain, ISBN 098-195-6726, book by Dr. Caroline Leaf (available on Amazon at: CLICK HERE). 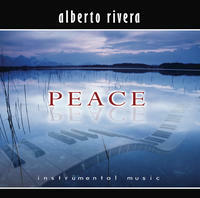 Kimberly and Alberto Rivera have some amazing worship and instrumental music available on physical CDs and computer downloads! Their website is: http://kimberlyandalbertorivera.com/home. Julie True is a wonderfully anointed worshipper whose CDs, DVDs, and computer downloads will help you experience the Lord’s presence. I Release is the culmination of some of the best moments captured on a special DVD entitled Worship 24/7. It includes live soaking music by Julie True, accompanied by keyboard, cello, violin, and classical guitar, and carries an atmosphere of worship, peace and healing. Julie True’s website is: http://julietrue.com/. Healing Rooms Ministries; website: http://healingrooms.com/. There are Healing Rooms Ministries all over the world. You can enter your city name or zip code on the website and find a location for a Healing Rooms nearest you. They are an International Association of Healing Rooms Ministries in churches and cities with a common vision to establish healing back into the body of Christ. Restoration in Christ Ministries (RCM); Diane Hawkins; website: www.rcm-usa.org. RCM offers training and support to those called to restore lives shattered by abuse. Restoring the Foundations (RTF); Chester & Betsy Kylstra; website: www.rtfi.org. The Kylstras minister, teach, and train other couples to function as RTF ministry teams to help bring freedom and healing to church members.